Quality Category 7 PMIF Full Copper Shielded Ethernet cable. Cat7 cables are capable of speeds upto 10 Gbits. These Cables Are 10 Gbit Rated Shielded Cat7. Our highest quality copper Ethernet cable. Has foil shielding to reduce Electo Magnetic Interference. Shielded cables are ideal for longer cable runs. Suitable for connecting PC, X-Box, Smart TV to a Modem or Router. 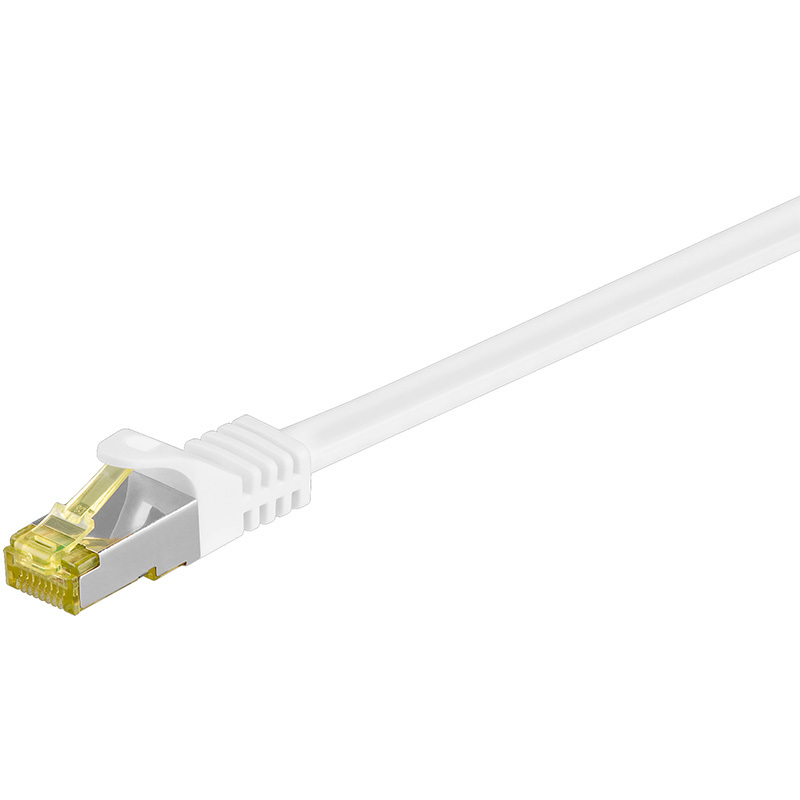 Cat6a plug with Cat7 cable.